Julian Brandt – What is Next for Bayer’s Star? The Futbolgrad Network has learned that Julian Brandt will leave Bayer Leverkusen at the end of the season. The 21-year-old German attacking midfielder will also not stay in Germany either. The main reason for his departure is the fact that Bayer Leverkusen have missed out on the UEFA Champions League next season. Bayer had a terrible year, and have collected just 38 points, and it is just because of the goal differential that Leverkusen do not have to worry about possibly slipping down to the relegation/promotion playoff spot. 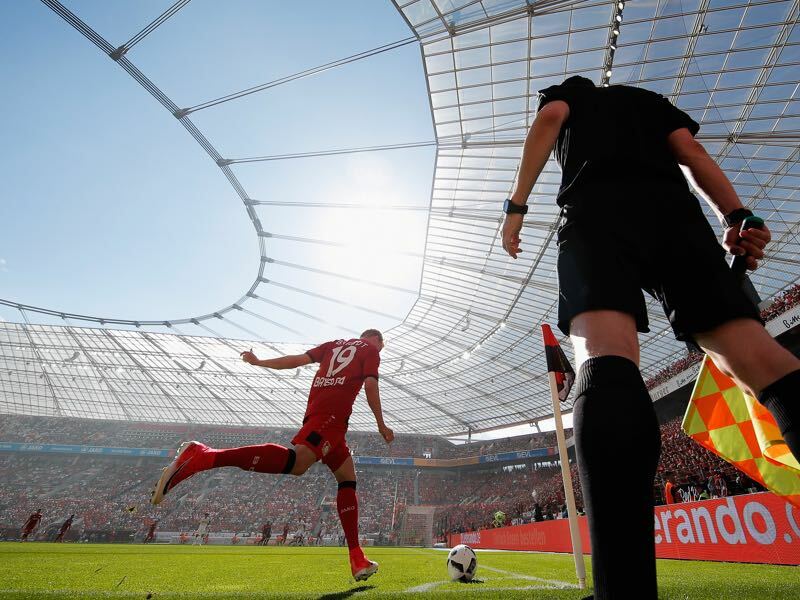 The club’s relegation was avoided on matchday 33 with an excellent display against their rival 1.FC Köln. The match ended in a 2-2 draw, but it was only thanks to Köln keeper Timo Horn that Bayer were not able to collect the three points after going down by two goals early on. 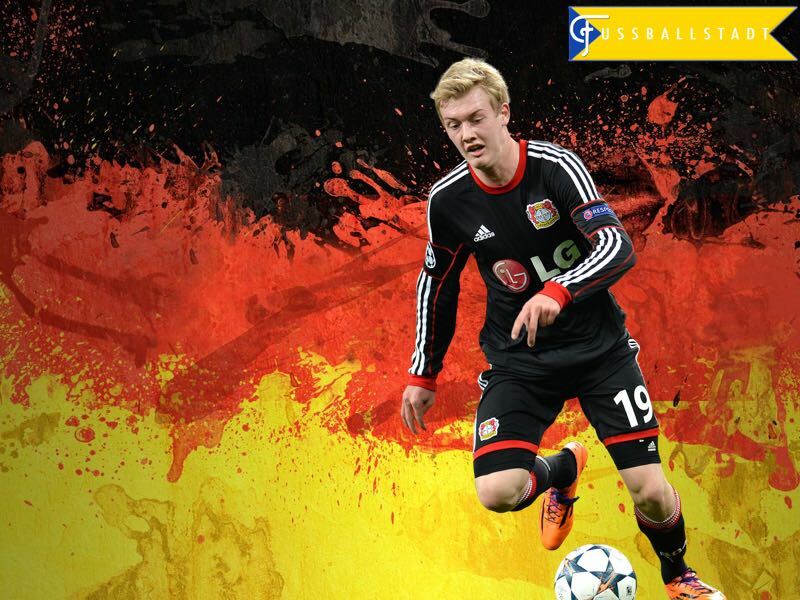 Julian Brandt – Destination Liverpool? Julian Brandt was one of the better players on the pitch, and the young Germany international assisted Stefan Kießling in the 60 minute for Bayer’s first goal—shortly after Joel Pohjanpalo made it 2-2—in what will likely be Brandt’s last home game for Bayer. The question now, of course, will be where Brandt is heading. Julian Brandt was heavily linked with a move to Bayern München, but also Liverpool FC. Our indication is that he has decided not to join the Rekordmeister, and instead make a move abroad with the likely destination being England. His decision to leave Bayer, and to not move to Bayern will be music to the ears of Liverpool supporters, which can have realistic hopes that Brandt will join Jürgen Klopp’s squad next season. Brandt will be especially swayed by the idea to play Champions League football, which makes Liverpool’s 4-0 victory against West Ham invaluable in their pursuit to land the winger. Brandt, in fact, could become the natural replacement for Philippe Coutinho, who is understood to have a big money offer from FC Barcelona. A quick and mercurial winger Julian Brandt has scored three goals, and nine assists in 31 Bundesliga matches this season. The attacking player, who can play as a left-midfielder, left-winger, false-nine, and also on the right-wing, has played five games for the German national team already. Furthermore, Brandt would also bring much-needed Champions League experience to Anfield. In his time with Bayer Leverkusen, the 21-year-old has already played 28 games in the UEFA Champions League. Quick, technically gifted, and excellent in picking out the killer pass, Brandt would be the perfect player for Klopp. Liverpool’s German manager was, in fact, already interested in signing Brandt for his former club Borussia Dortmund back in 2014. At the time Julian Brandt was still playing for VfL Wolfsburg’s youth academy but was quickly identified as one of Germany’s most talented players. Instead of Dortmund Brandt, however, signed for Bayer Leverkusen. Brandt believed that Bayer would be the perfect step to developing into a full-fledged Bundesliga star, before making the step to a bigger club. Now with Bayer failing to reach international football the time seems to have come for Brandt to leave Bayer, and to write a new chapter abroad. Eusebio Di Francesco – An Italian Revolution for Zenit?